Captain Jack has a nice pencil lock structure with good luster and handle. He is out of our Channel and Odelia's Balboa's Bailey. 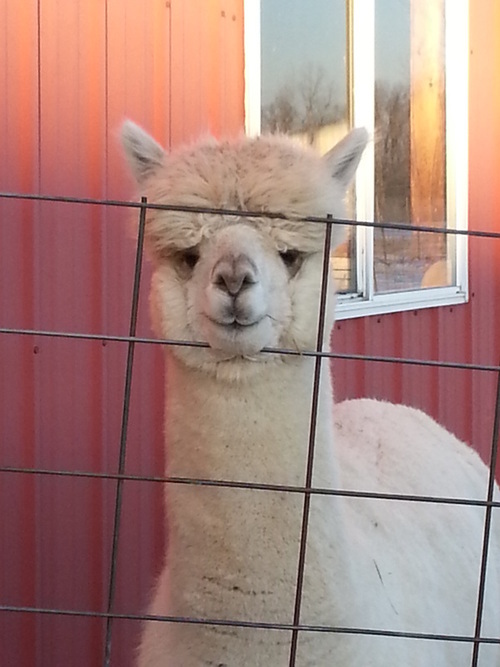 He got the best of both dams and sires fleece traits. 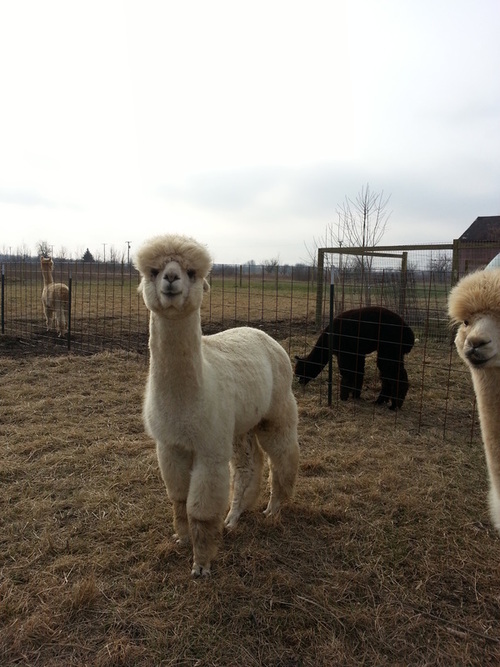 Feel free to give us a call or come on out to the farm to see our animals. Free delivery within a 150 mile range of our farm. 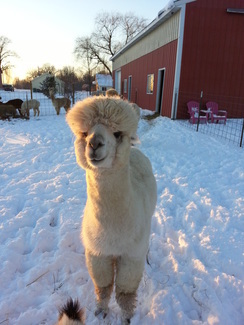 A fading very light fawn, just a shade darker than beige, Doobie’s fiber is very well organized into beautiful crimpy bundles. Shear weight on his blanket alone has always been 3+ pounds of wonderfully fine fleece. He is perfectly proportioned, with a perfect bite and straight legs. Any hand spinner or fiber artist would be thrilled to have this mild mannered and easy to handle male. 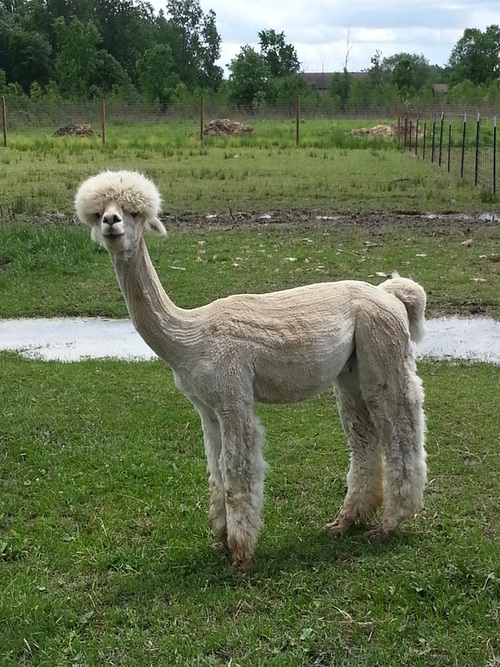 This is a non-breeding male that has not been gelded. 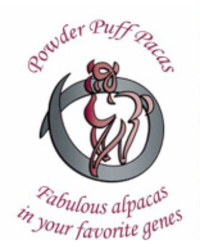 Gold Doubloon is owned by Dutchman Alpacas and boarded at Powder Puff Pacas.